New Delhi, Nov 30: Over half-a-dozen temporary shops were fully gutted in a fire that broke out here in a market around midnight on Thursday, police and fire officials said. The kiosks, comprising of pan shops and small eateries, were situated in the middle of Malviya Nagar market in south Delhi. There was, however, no casualty as most of the kiosks were shut for the night. 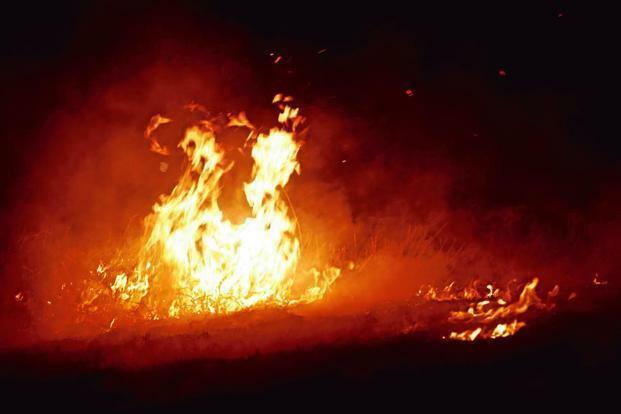 Police were informed about the fire by the local residents and 4-5 fire tenders reached the spot and doused the blaze after a half-an-hour battle. A fire brigade official said the blaze was contained before it could spread beyond the row of kiosks.